WWE Hall of Famer Shawn Michaels and Triple H have been announced to appear at the WWE UK Title Tournament event on June 18th in London at Royal Albert Hall. Night one of the event, on June 18th, will feature the tournament to crown a new #1 contender to WWE UK Champion Pete Dunne. That night will also feature Dunne, Trent Seven and Tyler Bate vs. The Undisputed Era - NXT North American Champion Adam Cole along with NXT Tag Team Champions Roderick Strong & Kyle O'Reilly. Night two, on June 19th, will feature a NXT North American Title match, a NXT Tag Team Title match, a NXT Women's Title match and a tag team match with EC3 & The Velveteen Dream vs. Ricochet & NXT Champion Aleister Black. As noted, the first round matches for the tournament have been announced to begin at the UK Download festival in on June 8th, June 9th and June 10th. The Drew Gulak vs. Jack Gallagher match will air on an upcoming NXT episode. Brackets will be revealed next Wednesday but the following matches have been announced - Gulak vs. Gallagher, Ashton Smith vs. Joseph Conners, Flash Morgan Webster vs. James Drake, Kenny Williams vs. Dave Mastiff, Ligero vs. Travis Banks, Zack Gibson vs. Amir Jordan, Tucker vs. Joe Coffey, Jordan Devlin vs. Tyson T-Bone. A new graphic for the event indicates that the special will air on the WWE Network at a later date in June but not live. WWE Hall of Famer Shawn Michaels will return to the iconic venue where he fought in the first-ever WWE match to take place at the Royal Albert Hall in 1991, appearing at the WWE United Kingdom Championship Tournament at the historic arena on Monday, June 18, alongside Triple H.
Michaels and his Rockers tag team partner Marty Jannetty took on The Nasty Boys in the opening match of the Battle Royal at the Royal Albert Hall event, which was screened live in the U.K. on Sky Movies and is available on-demand in its entirety on the award-winning WWE Network. The 1991 event is symbolic for WWE fans in the U.K., as it marked the start of 27 consecutive years of live events there, a streak that continues to this day. Now, members of the WWE Universe attending the WWE U.K. Championship Tournament event on June 18 can celebrate this historic occasion alongside HBK himself. Currently a coach at the WWE Performance Center in Orlando, Fla., Michaels will be sure to share his experience with competitors from Great Britain, Ireland and beyond, having appeared at three of the five WWE live events held at the landmark arena to date. As if HBK's return to the Royal Albert Hall wasn't enough, WWE fans can look forward to an appearance from Paul "Triple H" Levesque, WWE's Executive Vice President, Talent, Live Events & Creative and the driving force behind the WWE United Kingdom Championship Tournament. Triple H also appeared at the 147-year-old venue in October 1995 on the Full Metal Tour, the most recent WWE event to be held in the building opened in 1871 by Queen Victoria. 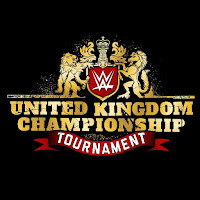 The WWE United Kingdom Championship Tournament at the Royal Albert Hall on June 18 will feature competitors vying to earn an opportunity to challenge WWE United Kingdom Champion Pete Dunne the following night inside London's most famous venue. The BruiserWeight will also be in action on June 18, teaming with Moustache Mountain (Tyler Bate & Trent Seven) to face NXT's Undisputed ERA. In addition to Dunne's title defense against the tournament winner, the event on Tuesday, June 19, will feature three NXT championship matches, including an NXT North American Championship Match, an NXT Women's Championship Match and an NXT Tag Team Championship Match, as well as a tag team match pitting NXT Champion Aleister Black & Ricochet against Velveteen Dream & EC3. Tickets to see HBK at the Royal Albert Hall are available now at www.bookingsdirect.com and www.livenation.co.uk.